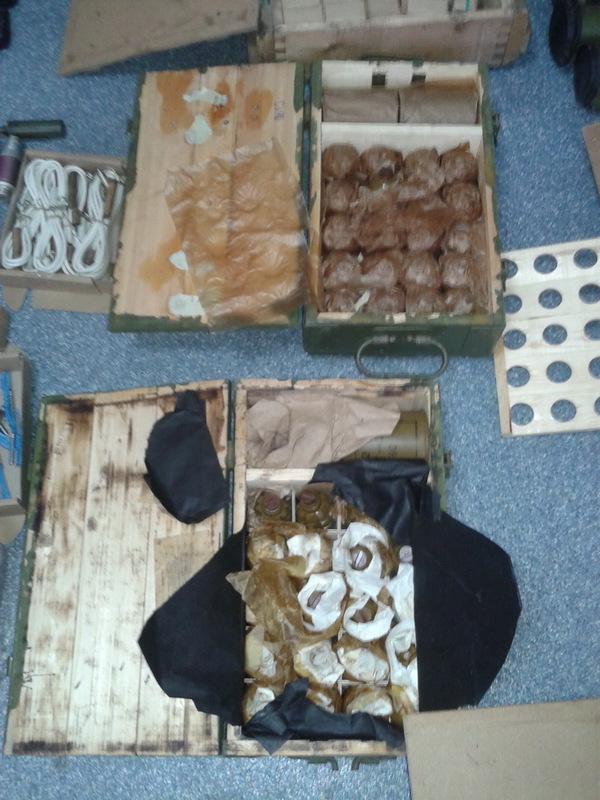 Ukrainian National Police and Security Service detained two persons in Zakarpattya attempting to place an explosive charge next to the local minorities’ monument. Previously, on September 21 these two residents of Cherkassy and Odessa threw a hand grenade at Hasidic pilgrims next to Tzaddiq memorial grave in Uman, Central Ukraine. Two Israeli citizens got injured during the incident. The investigation also confirmed their participation in grenade explosion in Kyiv on the Independence Day as well as in explosion next to the US Embassy to Ukraine. 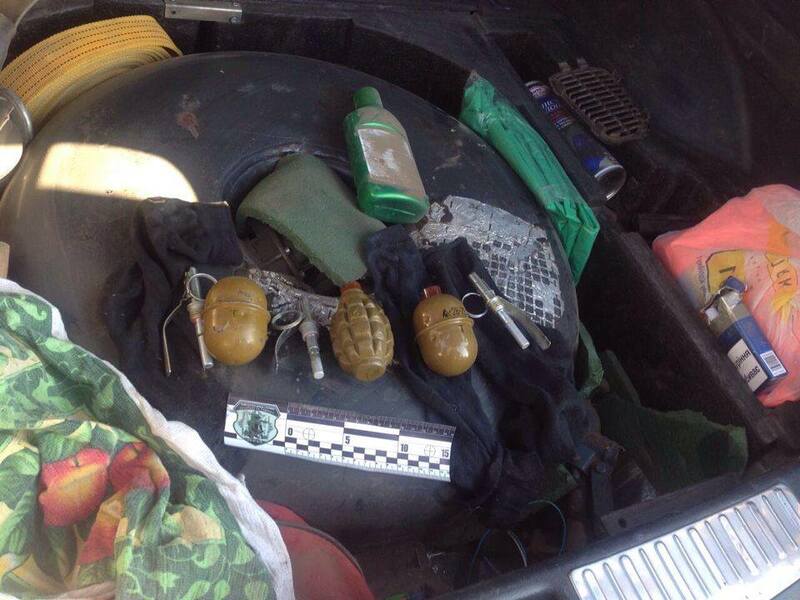 Three RGD-5 and F-1 hand grenades were found by law enforcement officers during car examination. 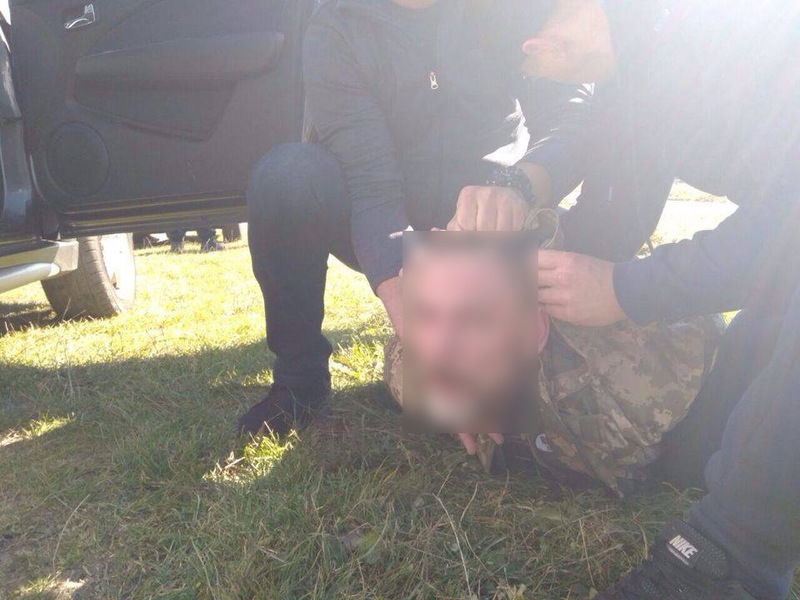 The Security Service of Ukraine informed that the detained terrorists were hired by former «Party of Regions» officials. Allegedly the investigation is still ongoing. 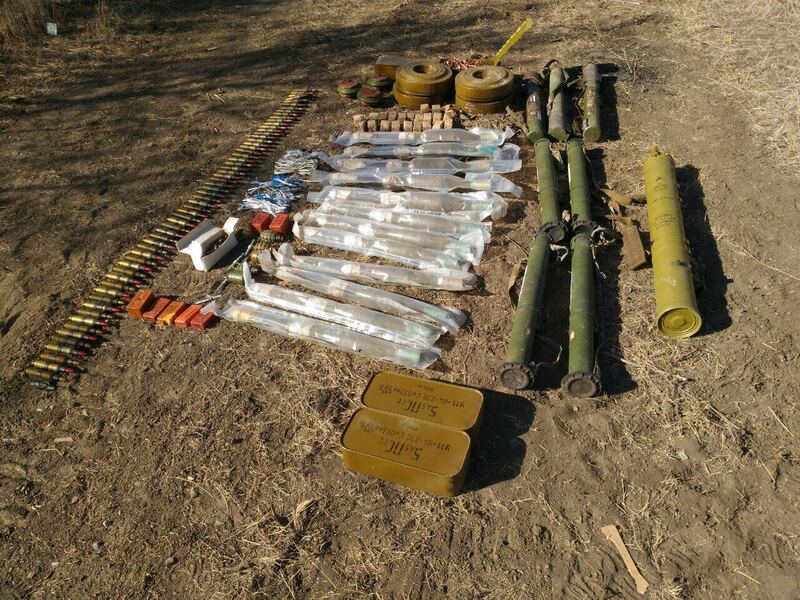 The aforementioned arsenal was intended for subversive actions in the territory of Ukraine. over 5,000 rounds of various calibers. 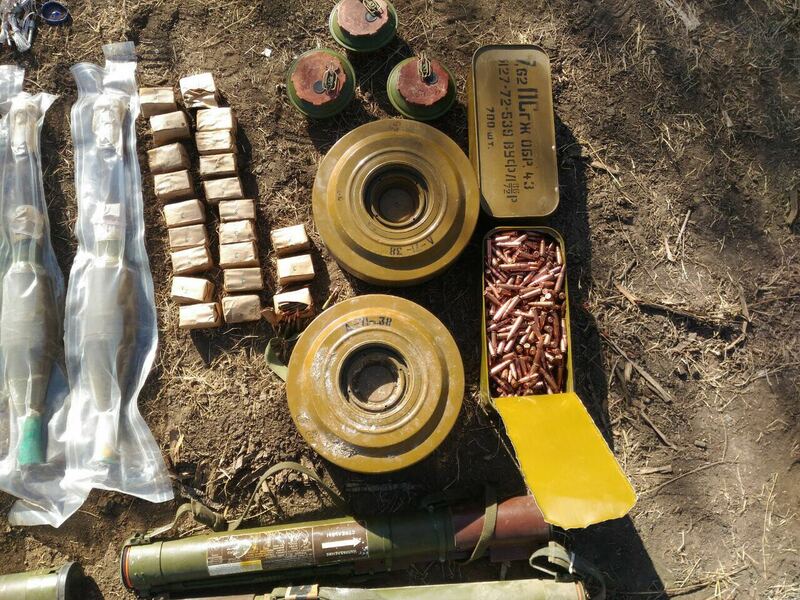 Both caches were reportedly intended for use by subversive groups. Allegedly the investigation is still ongoing. 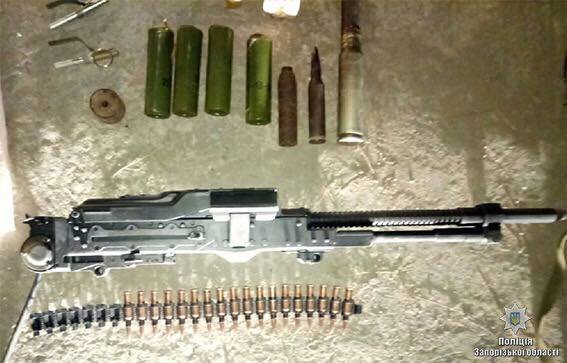 According to Oleh Zolotonosha, the Head of the Zaporizhia region National police department the criminal was arrested late at night. 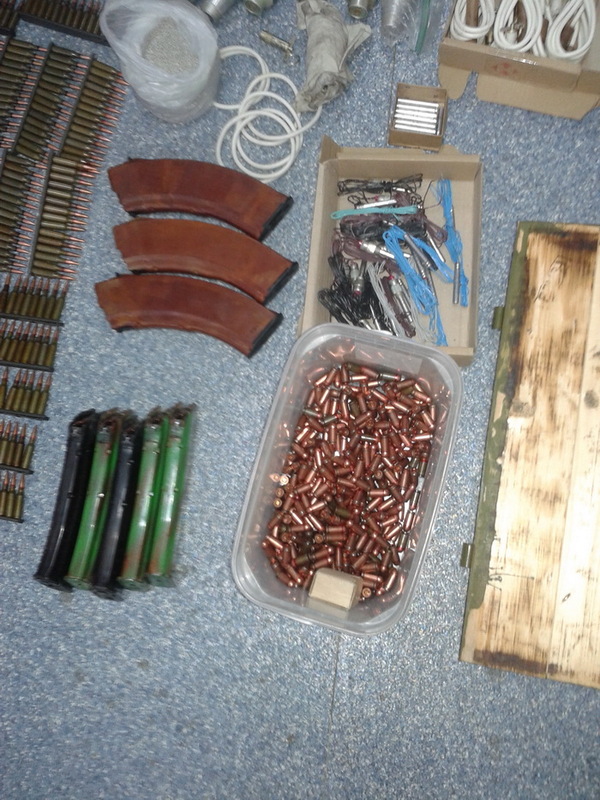 His arsenal included AK assault rifle, one machine gun, hand grenades and a stock of ammunition. “…there are numerous signs of this. For example: damaged communications system, was it accidental? Maybe, due to some maintenance works… Then: power supply system damage – the whole city of Vinnytsia was left without power supply for an hour just prior to the attack. Some of the law enforcement agencies had their communications means suppressed – I won’t list them as the investigation is still on… Spacecraft and satellite were spotted over the area prior, during and after the attack. Put together into a logical chain all these facts show us that we are talking about a planned action”, – said Viktor MUZHENKO. Two officers of the «Znob-Novhorodske» border post, Sumy region were reported missing yesterday on a border monitoring mission. Contact was lost around 8:00 PM, says the press officer of the State Border Guard Service. As of now the State Border Guard Service is searching for the missed servicemen. 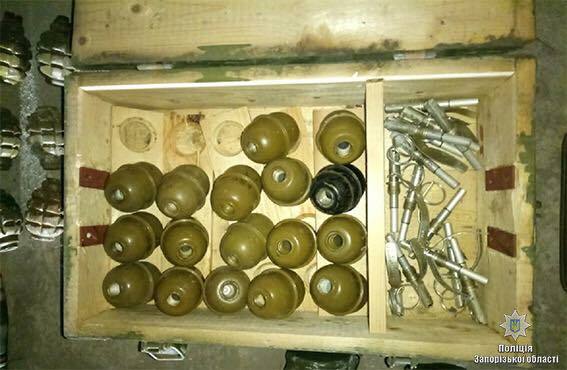 Meanwhile Russian media reported detention by the FSB of two trespassers claiming to be the officers of the Sumy post. The State Border Guard Service verifies the abovementioned information and continues searches. As we previously reported Ukrainian MoD drafted around 1,000 reserve officers in June 2017. “This year it was the first time when we called up officers from the reserve. Almost 1,000 officers joined the Armed Forces. Today the decision about possible draft is not approved yet, but the General HQ Personnel Department will advise the Chief of the General HQ (the final decision is made by the MoD) to draft a limited number of reserve officers. This might be something like 500 men. But the final decision rests with the Minister of Defense and depends on the current needs”, – said General Artemenko. 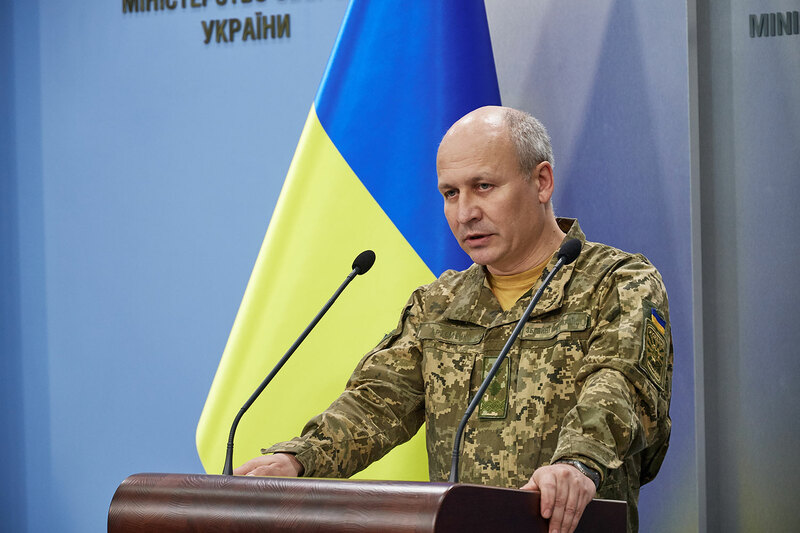 On October 3, 2017 Lieutenant General Arthur Artemenko, the Chief of the Personnel Department and the Deputy Chief of the General HQ announced 10,460 young men aged between 20 and 27 to be drafted this autumn to the Armed Forces of Ukraine and other defense agencies according to the Decree by the President of Ukraine No.44/2017 dated February 24, 2017. 6,360 of these will serve with the Armed Forces, 3,500 with the National Guard, and another 600 with the State special transportation service. Drafted personnel will not be engaged in operations in the ATO area. The duration of their service is 18 month (12 month for those with high education). The drafted personnel are being paid for their service, get a full social package and are allowed an official ten day leave. 10,460 young men aged between 20 and 27 will be drafted this year to the Armed Forces of Ukraine and other defense agencies according to the Decree by the President of Ukraine No.44/2017 dated February 24, 2017. 6,360 of these will serve with the Armed Forces. This information was announced by Lieutenant General Arthur Artemenko, the Chief of the Personnel Department and the Deputy Chief of the General HQ. 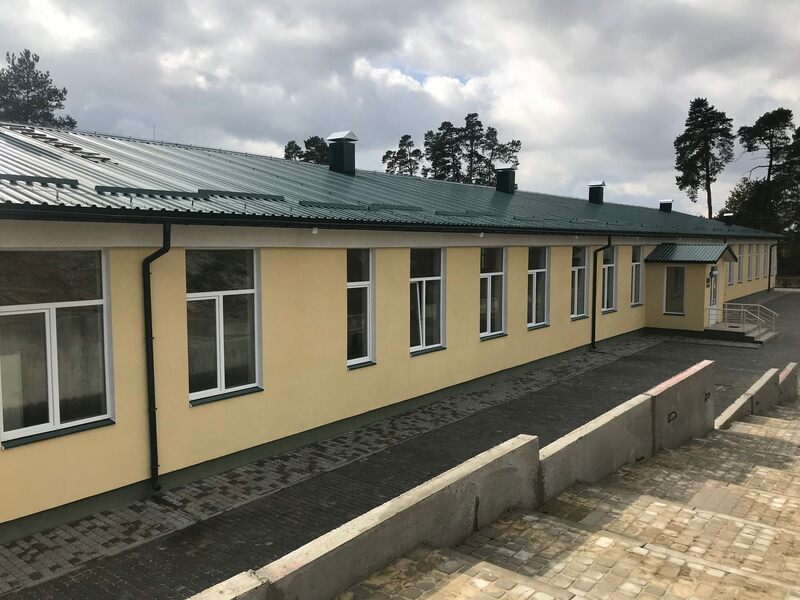 One of the training centers where the young men will start their service will be the 184th Training Center in Starychi, the “Basic” camp. 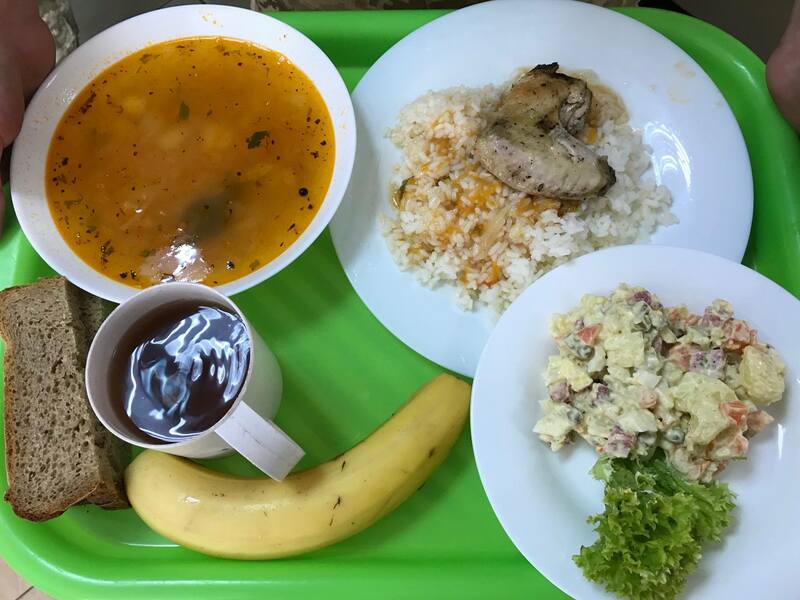 On October 1 the training center along with other 8 units of the Army has converted to the new food program, replacing about 70% of its dining facility equipment and engaging the new staff. New barracks were built for 1,500 enlisted personnel drafted this year. 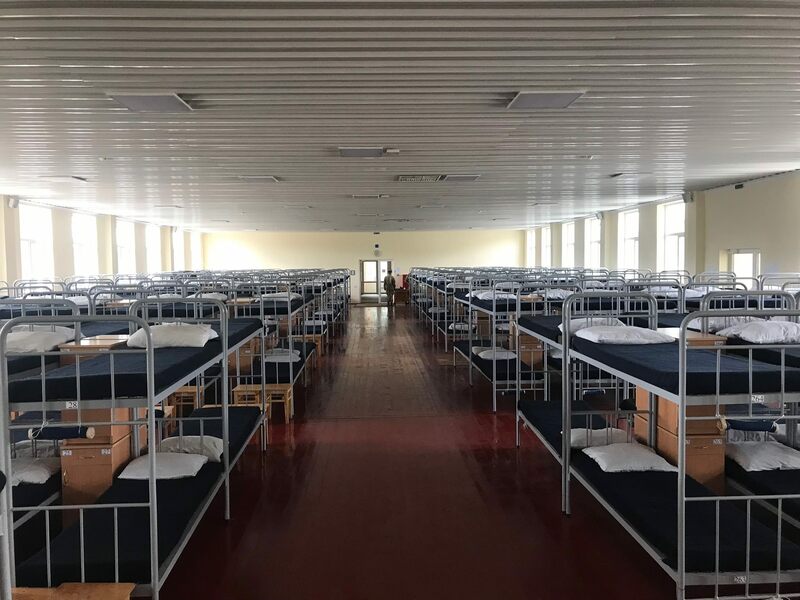 As of now personnel is supposed to accommodate on a bunk beds, bet when another 5 barracks will be constructed twice less men will be stationed in each dormitory. The camp is surrounded with sprawling training area – shooting ranges, engineering and scuba-diving training lanes, artillery training facility, vehicle and armor driving ranges, etc. This is the result of a social inquiry made by «Rating Group» in September 2017. The target audience was Ukrainian citizens aged 18 and older. Representative deviation is within 2.2%. Inquiry period: September20-29, 2017. “Two thirds answered positively in Central and Western areas of Ukraine, about half in Southern Ukraine. 52% of inquired in Eastern regions refused to defend their country (26% positive, 22% – not sure). Majority of people confirming their willingness to defend their country appeared to be males, Ukrainian speaking and of a higher class”, – the report summarizes. This number has grown twice compared to 2012. The same situation is with Ukrainian Armed Forces trust rate which has now reached 60%. 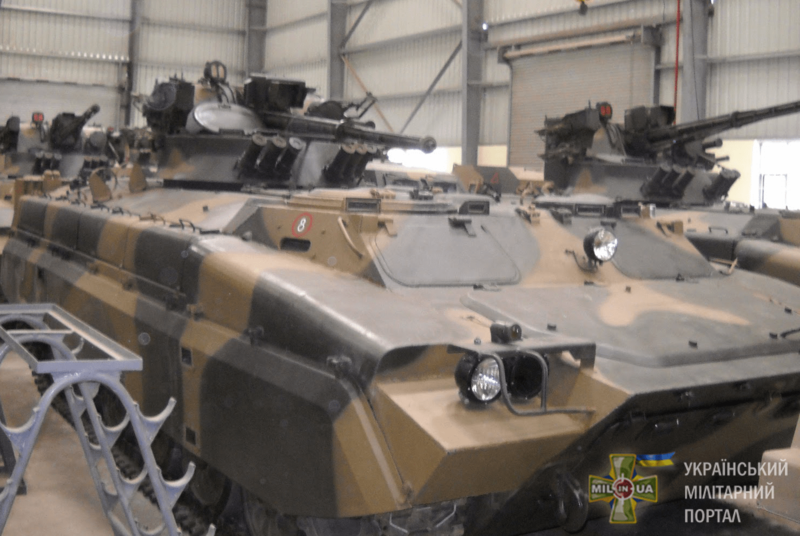 “Kharkiv Tractor Plant won a contract from Myanmar MoD for supply of upgraded MT-LB vehicles”, – “Status Quo” quotes HTZ Director Andriy Koval. The HTZ, except of the basic prime mover version capable of towing artillery systems or carrying 11 troops, offers various fighting vehicles based on MT-LB design. 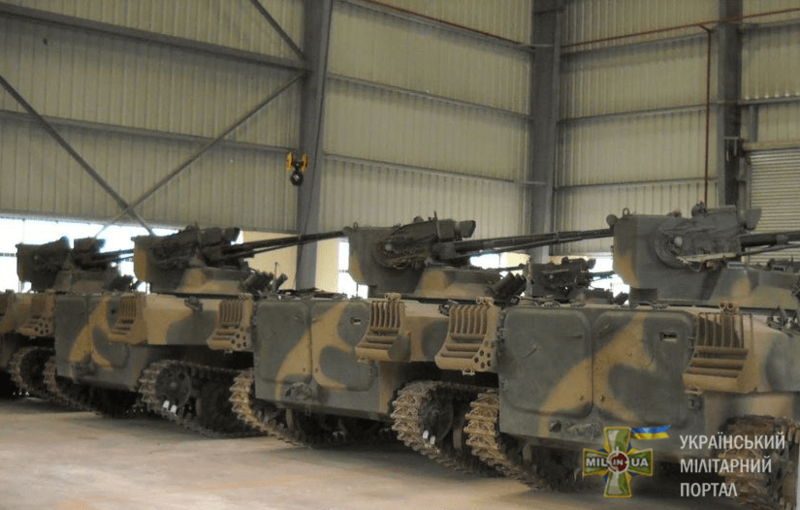 Myanmar has already acquired 26 such vehicles fitted with “Shkval” modular turret systems delivered in 2007 and 2009. 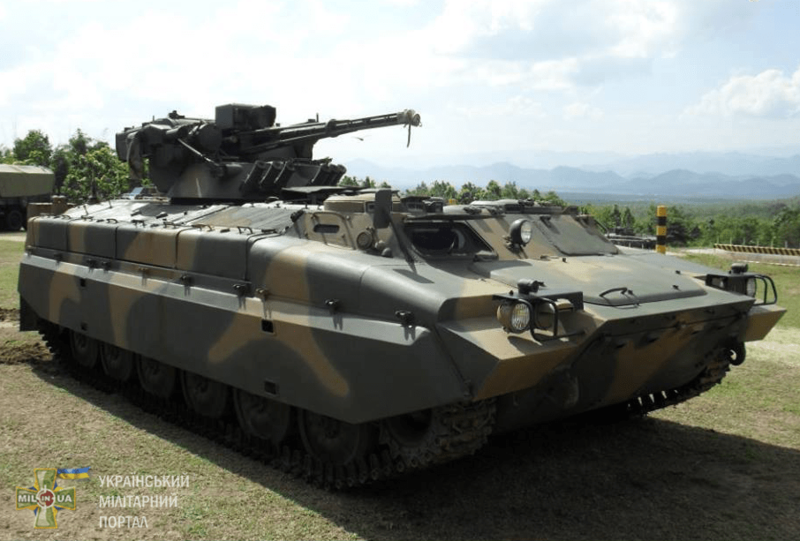 MT-LBs supplied to Myanmar are upgunned with “Shkval” modular turret systems incorporating 30mm gun and ATGM launchers and a retrofitted with more powerful engines. The MT-LB transporter/prime mover was launched into production at Kharkiv Tractor Plant (HTZ) in 1960s and was widely uses by Soviet troops in Afghanistan. MT-LB was supplied to Soviet allies and neutral nations in great quantities and still may be seen in action in numerous regional conflicts around the world, including clashes with ISIS in Syria and Iraq.